Roof Shingle Repair - Watershed Roofing | Get a Free Quote! Watershed Roofing & Exteriors have been doing work around homes with shingle roofs for years. We’ve pretty much seen it all. Every type of shingle, every style, every type of sloped roof. We’ve also seen every type of situation where shingles fail, fall off, or begin to age. How do I know I need a shingle roof repair? If you see anything like that happening to your roof and you think you may need a shingle roof repair, act on that feeling and call Watershed Roofing. Get the shingle repair done now before a small leak leads to major damage, and then major dollars. Moisture can seep into your insulation, walls, ceilings, electrical outlets and even to your furniture and belongings. This can develop into unhealthy mold for you, or damaging rot for your house. Its not worth hesitating, or even leaving it for a few days. Call Watershed and we will take care of you with our highly experienced team. We know what to look for and how to fix it. 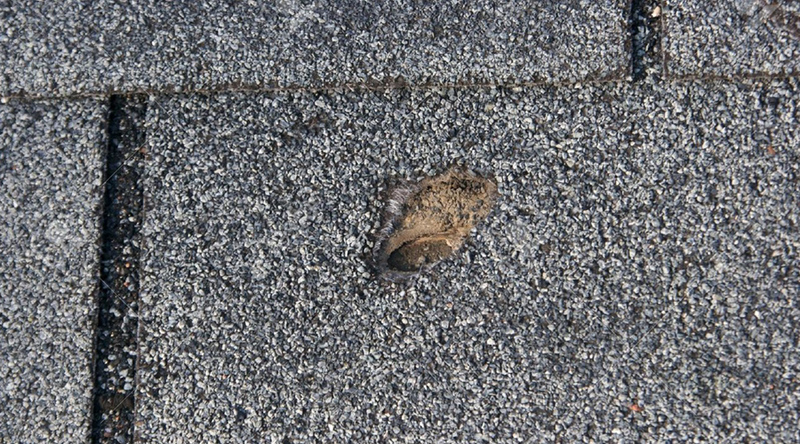 Repairs are possible on most asphalt roofs, but that’s not the only issue that can arise on a sloped roof, there are attic vents, plumbing flashings, goose neck flashings, valley flashings, step flashings, wall metals, turbine vents, skylights, etc. that can fail. Don’t fall victim to lack of maintenance, interior damage is costly. You can depend on Watershed Roofing & Exteriors. We like to repair shingles so you’ll never have to repair it again. If we have to only replace small sections of shingles, we will. We don’t do more work than what is necessary because we want to do right by you and your wallet.